Jalisco is the top Mexican state of origin for tourists to the destination with 33.2% of the total, British Columbia leads in number of visitors from Canada with 23.1% and California is the United States’ number one with 24.2%. 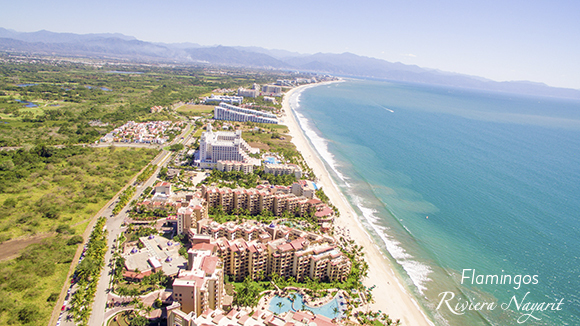 The 1st semester 2016 report from the Riviera Nayarit Convention and Visitors Bureau’s (CVB) Visitors Profile reconfirms that Mexico, Canada and the United States are the top markets of origin for tourists to the Destination. Jalisco, British Columbia and California are the leaders in each country. Mexico led the way with 42.3%, Canada took second place with 27.4% and the United States is at 27.1%, followed by England with 2.0% and finally all other countries with 1.3%. Among other nations, Colombia was first at 19.3% and Argentina took second place at 17.5%. In Mexico, Jalisco leads with 33.2%, followed by Mexico City at 12.3%, Aguascalientes with 11.9%, Guanajuato with 10.9% and Nuevo León completes the top-five list with 4.4%. Nayarit is in 6th place with 4.2%. The Canadian provinces offered British Columbia in first place with 26.8% followed closely by Alberta at 23.1%, with Quebec in third place at 17.3%. Next are Ontario at 13%, Saskatchewan at 11.8% and Manitoba with 8%. California leads the way from the United States with 24.2% followed at a distance by Illinois at 10.1%, Texas at 7.7% and both Colorado and Washington at 6.9%. Rest and relaxation are the top travel motivators for tourists coming in at a whopping 94.2%, however, the meetings and conventions segment is picking up steam at 3.7%—within that segment, weddings represent 26.9% of the total with sporting events representing 25.6%.